A new National Academy of Sciences draft report looks at middle and high school science labs and explores how best to engage students in doing science and engineering. It's a compelling topic because, according to the authors, the majority of Americans learn most of what they know about science and engineering as middle and high school students; if education doesn't hook them then, it probably won't get many more chances. The report is a "revisit" of a previous study published in 2006 that examined high school science specifically. Since then, the authors pointed out, there's been a shift from students "receiving knowledge from the teacher," to students using "exploration, reflection and discussion" to make sense of phenomena. Instead of approaching science content and the methods for doing science as two separate activities, they're blended together. And there's greater concern about engaging all students — especially those in underrepresented groups, who are starting from a position of disadvantage. Participants in the newest report included representatives from both K-12 and higher education as well as science organizations, such as the NASA Goddard Space Flight Center and the American Association for the Advancement of Science. 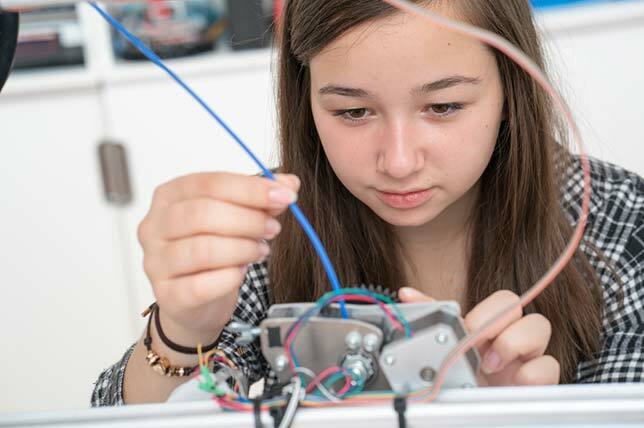 To help students understand how the world works, they need to be engaged in "learning about natural phenomena and engineering challenges via science investigation and engineering design." By choosing phenomena and design challenges that are local or "culturally relevant," teachers will help motivate students to learn. The classroom dynamic has changed, in that teachers help "guide, frame and facilitate" learning while students "ask questions, participate in discussions, create artifacts and models to show their reasoning and continuously reflect and revise their thinking." Engaging students in investigation and design "requires attention to facilities, budgets, human resources, technology, equipment and supplies." Otherwise, the "quantity and quality" of the classroom experiences — and the students having them — suffer. Likewise, the science and engineering classes exist in a complex fabric that also includes "local community priorities, state standards, graduation requirements, college admission requirements and local, state and national assessments." When these areas don't "align," the quality of the implementation "is hindered." This report provides guidance for those immersed in the work on how to support students. One recommendation, for example, is for the professional development to follow the same techniques that teachers will be using with their own students. As part of that, teachers should receive feedback from their peers and other experts throughout their career to improve their skills, knowledge and dispositions with the instructional approaches. Also, the report advised teachers and designers of instructional resources to work in teams to produce "coherent sequences of lessons" that include activities chosen carefully to engage students. Instructional resources should include information on strategies and options teachers can use to develop lessons relevant to their students' backgrounds, cultures and place. The pre-publication report is openly available on the National Academies Press website.